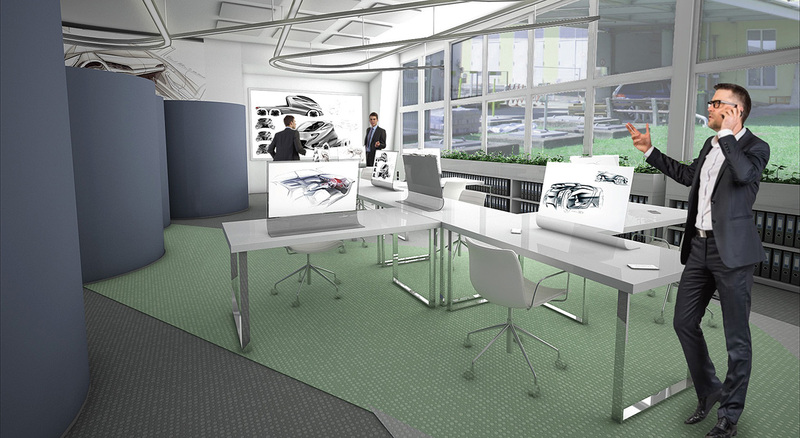 Office design for one of the worldwide leaders in the car manufacturing industry “Magna Steyr” in Graz. 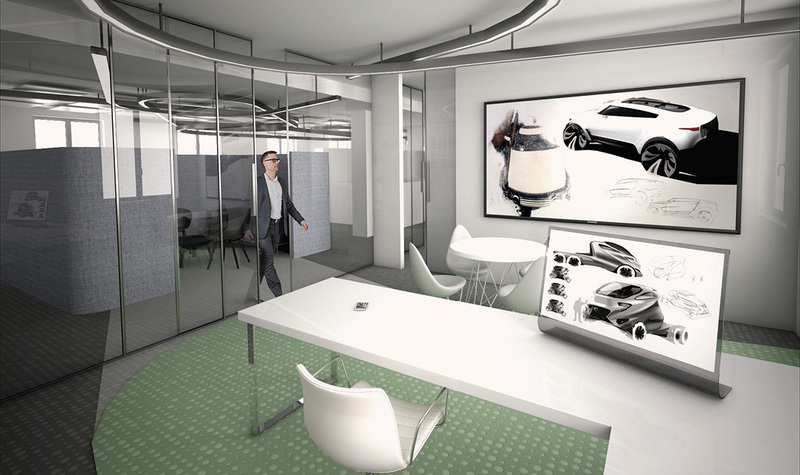 New office spaces are smart environments responsive to the User. 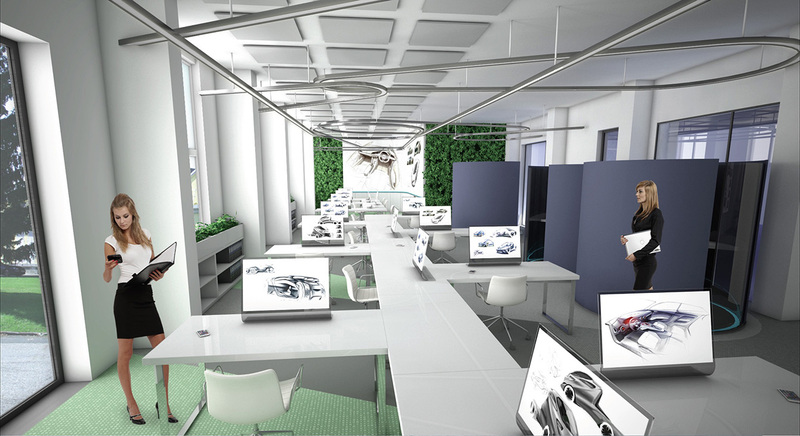 They are conceived as a creative working landscape for inspiring “Knowledge Worker”, with various usage scenarios and modules. 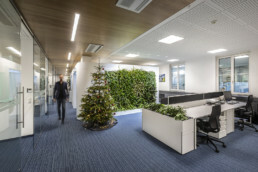 Green walls and containers with special plants provide a good atmosphere and optimal spatial climate. 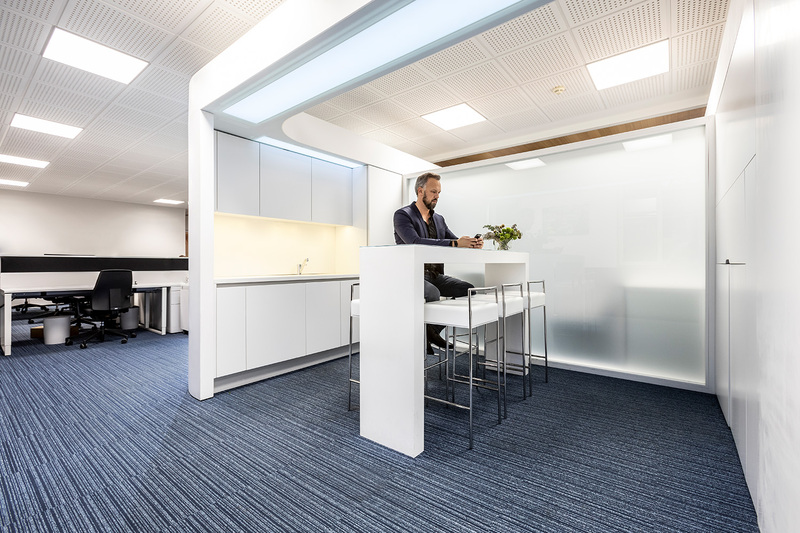 Multi-functional "island" creates functional zoning for the open space with custom-made table design. 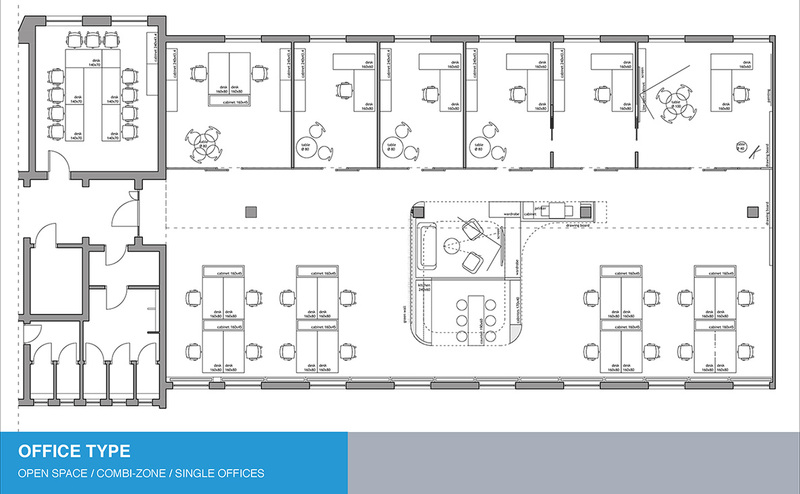 There are three functional zones: single offices, open space and multi-functional space (mixed use module). 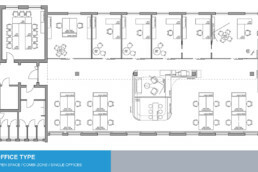 New office concept for the offices in the existing factory has been applied. 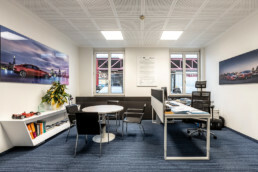 The factory has been built in 1930 so the requirement was to develop a design which is modular and adaptable to the very different spatial situations. Different working configurations and information exchange are supported. 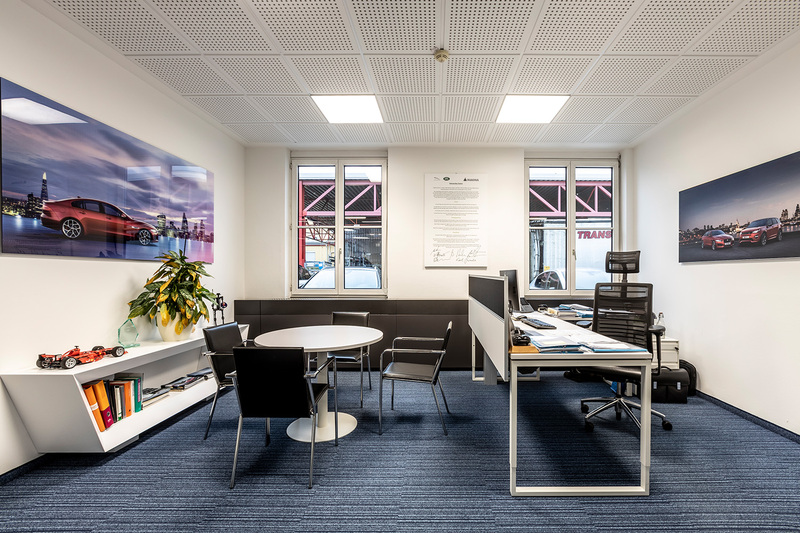 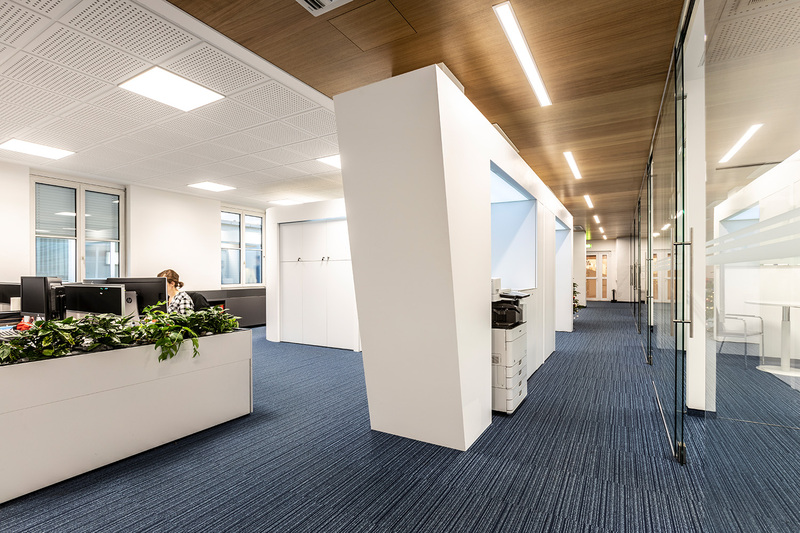 Optimised usage of daylight and artificial light for focused work. 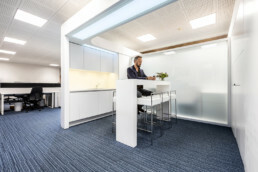 Wishes of employees are considered and implemented. 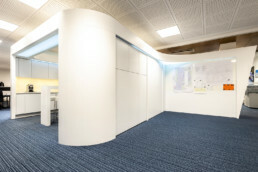 All the cables are integrated into furniture and hidden. 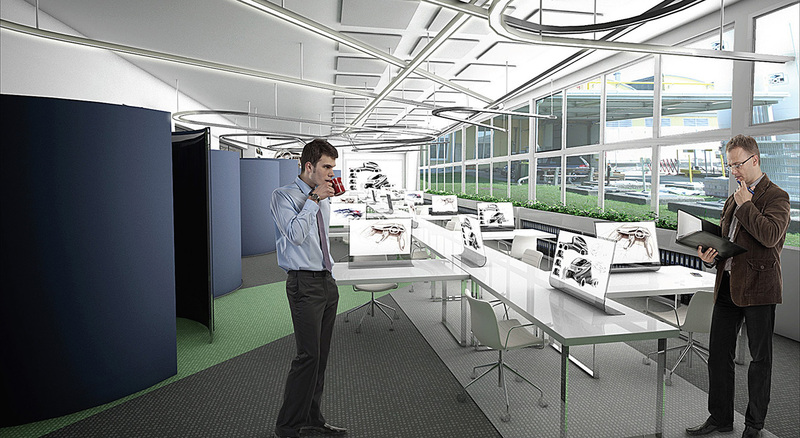 Users can plug-and-play. 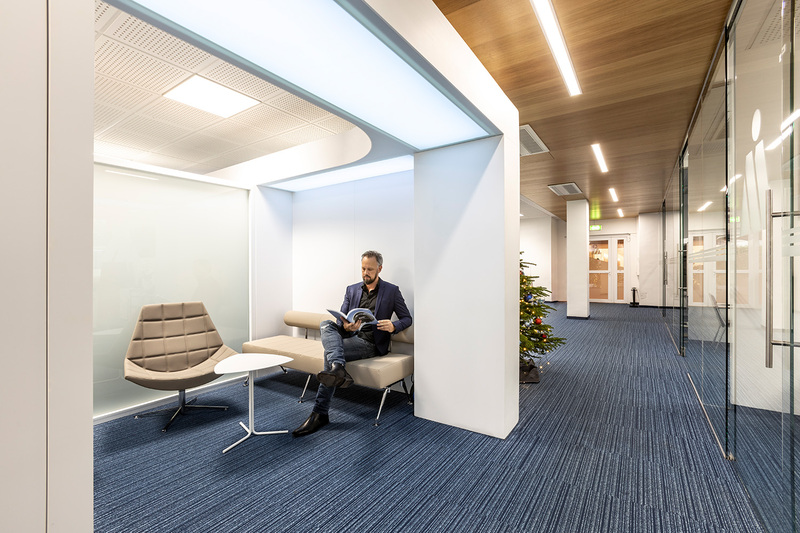 Acoustic panels on the ceiling, floor carpet and noise-absorbing material of booths provide good spatial acoustics and significant noise reduction. 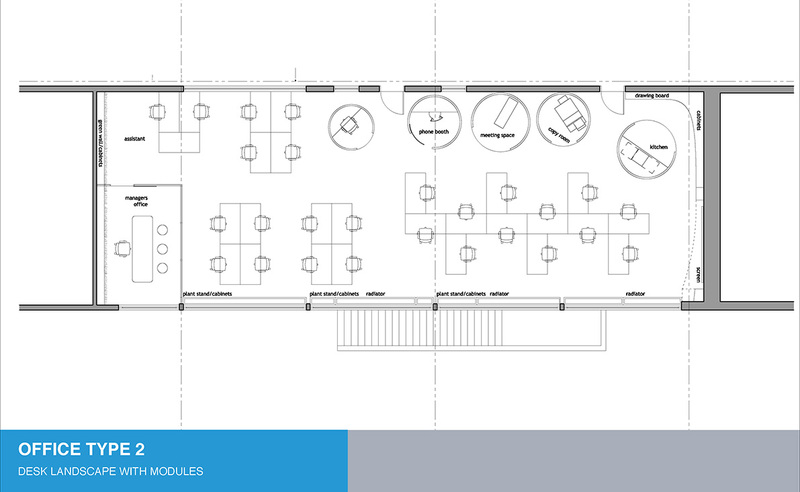 Open Space with flexible table landscape and functional modules (meeting, mini kitchen, print shop, phone booth).